[1000 words]When Master Hunter Gahiji deemed that her humiliation for the day was complete, Asis strode confidently toward the center of the city. It was a broken confidence, marked by bruises and torn clothing, but Asis held her confidence tight and ignored the looks she intercepted from the corner of her eye. Waiting at her destination was one of Asis’s dearest friends. His name is Nemr, and he was one of a handful of feral children allowed to remain in the city. While most feral children were filthy curs, Nemr had the soulful eyes of an elephant and the unwavering stare of a cheetah. He was fastidious in his cleanliness, and his light complexion turned more than one gaze. He claimed his almost straight-brown hair was the result of being struck by lightning. Asis had heard other tales to account for his unique straight hair, but whether the story of lightning was true or not, a jagged scan ran from his shoulder to his navel. No hair grew within a few fingers from the scar. He and his feral pack sister Fatma, Asis’s best friend, were well liked by the citizens of the city. They allowed the eager Namr and his small sister to perform chores, or fetch things, and any other task they deemed worth sparing a few coins for them to perform. Asis regarded her friend, and forgot to hide the astonishment from her face. The feral children traded favors and chores, but their primary use was the gathering of information. The more they thought they knew than you, the more power they held. Fatma crossed her arms, mimicking her feral brother. Asis grinned broadly, twisting a handful of her black hair, attempting to straighten it between her callused fingers. Despite repeated attempts, her hair sprang back into the tight curls she had been born with. There were stories of women in the city who laid their hair between two flat stones and sat motionless in the oppressive sun for hours while the hot stones pressed their hair flat. Nemr nodded solemnly, as if accepting such a curse could in some way make it happen. Asis’s tribulations were not the first he had ever heard of, but not of someone he knew so well. “I know, I’ll be happy when I become a warrior and can chose my skill.” Asis dropped the hair she had been playing with and looked towards the sea. “Maybe I’ll become a mercenary for hire and travel the world righting wrongs.” Asis longed for the scenario where she was freed from Master Hunter Gahiji and her well-meaning, but clueless parents. “You’ll come back to visit us, right?” Nemr asked as he rubbed the scar on his shoulder. Concern flittered across his face. Fatma’s eyes grew with the same concern in Asis’s absence as she did with she thought of the humiliation her friend endured at the hands of Master Hunter Gahiji. Only one response could quell those sad, soulful eyes. “You mean exploits,” Nemr declared, free of malice. His grin was matched by his continuous shadow. Asis smiled, but not in return to Nemr’s showing of his straight teeth, but at Fatma’s matching every inflection and posture Nemr displayed. Where others may have interpreted her actions as insolence, Nemr accepted them as they were intended: the infatuation of a small child attempting to emulate and ingratiate herself to an older child she desperately wished to emulate. If Fatma could somehow reap a fraction of Nemr’s prowess in the trade, and an equal fraction of his likability, she would be set for life. If she hoped to achieve these desires, she would learn all she could from her feral brother. Asis leaned in and hugged her friends. Fatma and Nemr smiled at her words, but Asis felt a sliver of guilt and sadness, and projected her always-happy façade that her friends had always known. She would miss her feral friends more than anything else in the city, but she knew she would get as far away as soon as possible. Once away, she doubted she would ever return. The tiny lie to spare her friends’ feelings was a small price to pay against the honor and glory she would accumulate in her travels. Perhaps, after her notoriety grew, she could retire to a city and teach the dagger arts. She smiled and continued to gossip with her friends, keeping the secret of her immanent departure from them, for she had just made the decision to leave soon, regardless of the completion of her spear training. 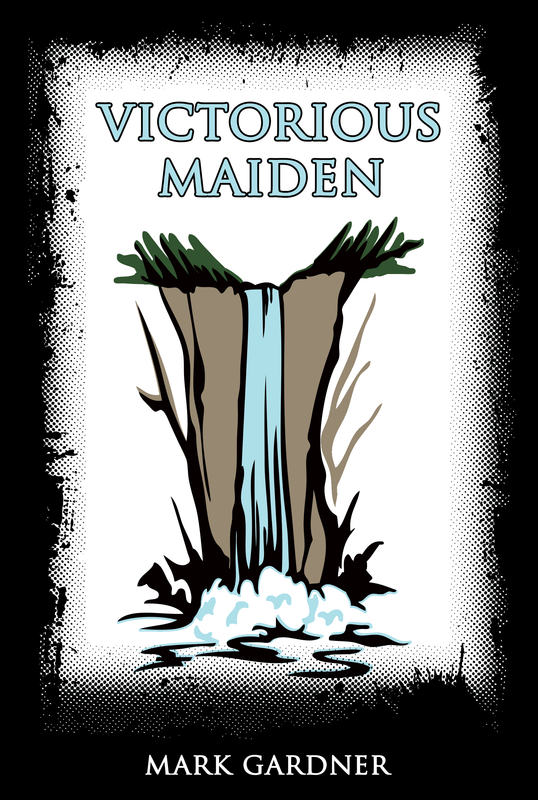 This entry was posted on Sunday, July 26th, 2015 at 12:00	and tagged with Victorious Maiden and posted in fiction. You can follow any responses to this entry through the RSS 2.0 feed.